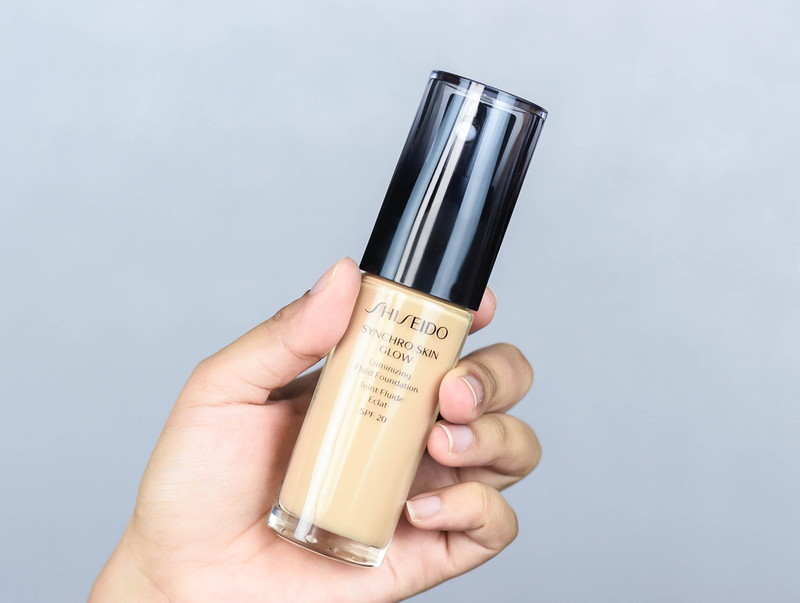 Over the weekend, we were all set to explore Shiseido's latest foundation release, which was the Synchro Skin Glow Lumizing Fluid Foundation in SPF 20. It's a mouthful, I know but I was feeling a little amped up due to liking its predecessor which was the Synchro Skin Lasting Liquid Foundation, and having heard over the grapevine that this product gave a really nice luminosity to the skin that resulted in a natural finish, it certainly pegged my curiosity. 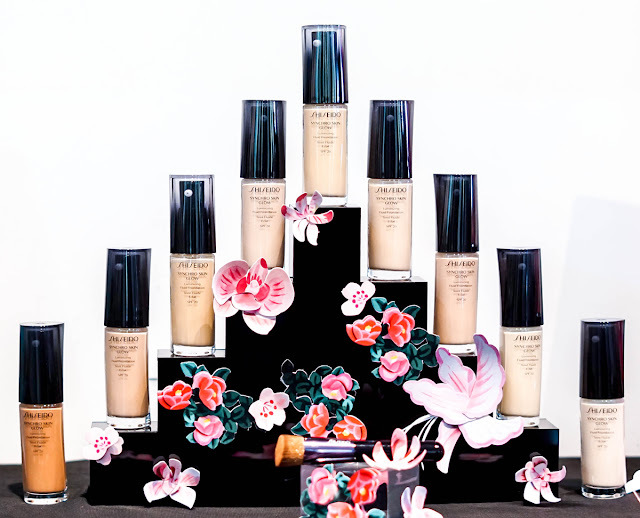 So what you would need to know about this foundation is that it comes in 13 shades and is the latest in the Synchro Skin series. It is said to give a glowing complexion to the skin and is infused with fresh hydration that adapts to every face and skin tone- working with the individual qualities. 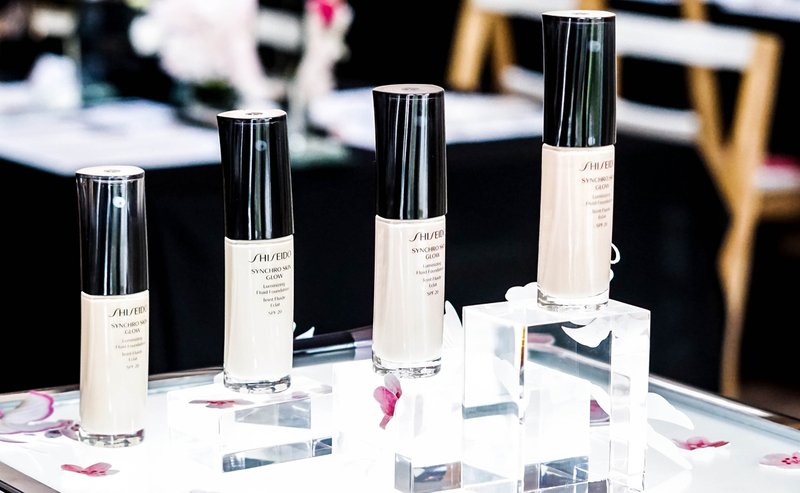 In addition to that, the foundation also provides an 8 hour hydration and maintains a fully hydrated look and feel all day long. Hence, seeing that each of us had the opportunity to give the foundation a full round up, we decided to knock back a few aspects of the foundation from the packaging to its formulation. 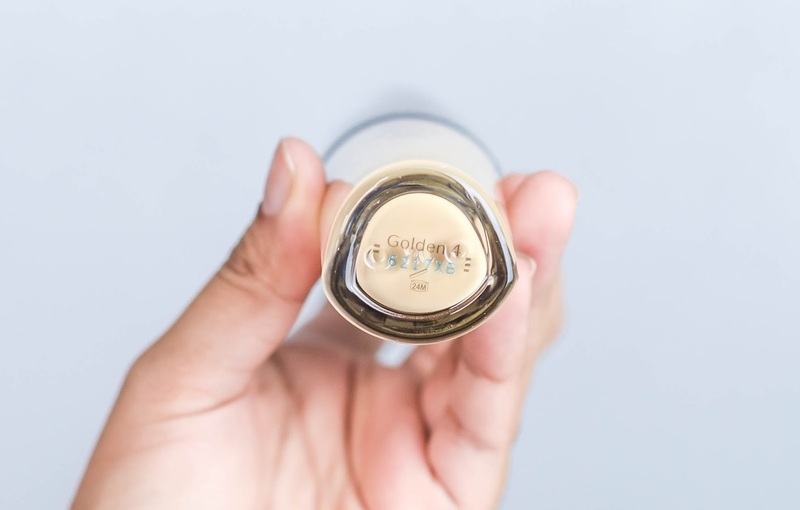 First and foremost, the foundation is contained in a clear 30ml glass bottle and has the same pump and ombre cap like the Synchro Skin Lasting Liquid Foundation. It was a little disappointing that Shiseido didn't keep to its frosted design like before as it would have had a better grip upon application, but other than that, there were no other faults in terms of the casing. The clarity of this foundation however is of course served within its formula, and infused with a Time Match Powder and Glow Enhancing Powder, the texture optimizes light to ensure that while our skin conditions change throughout the day, it enables it to maintain a lustrous and moisturized finish without any cakey texture or dryness. 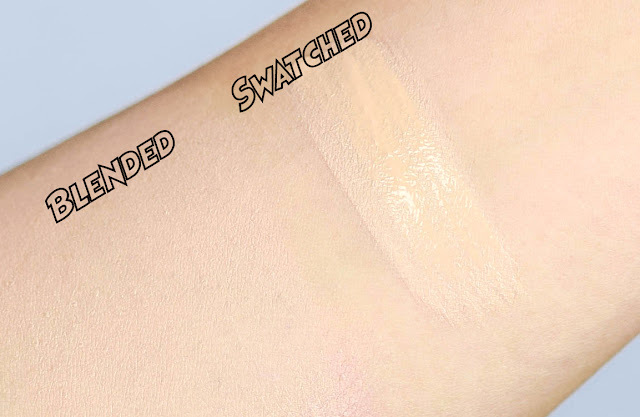 Having 13 shades similar to its predecessor (Golden 4 for reference), it is noticed that upon swatch, the foundation does have little specks of glitter in them even though it might not be too noticeable here. Plus while patting it down, it also goes on like a cushion effect and is quite light and airy to the touch. 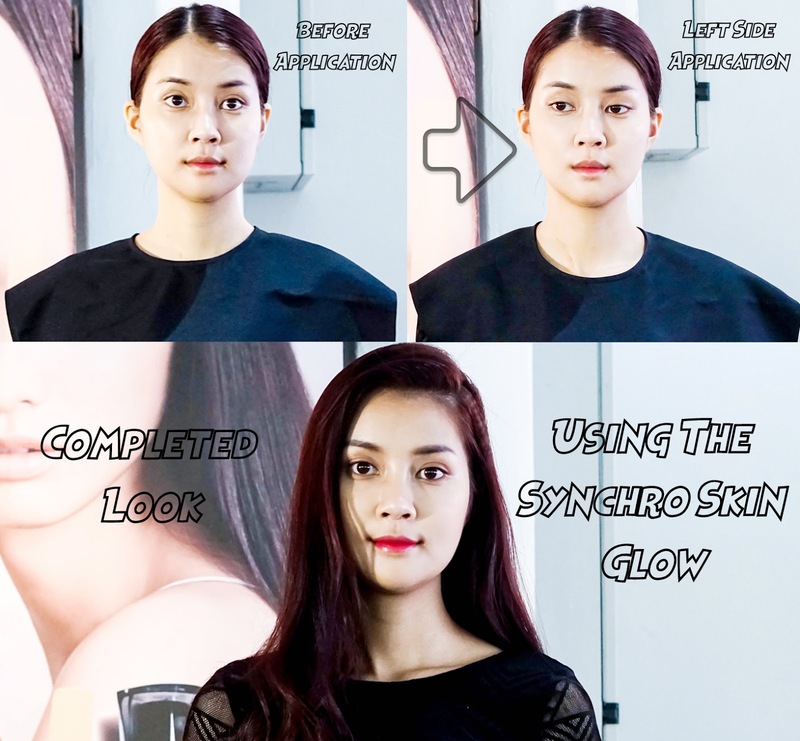 It blends really well too and as seen in the pictures above, you would notice that it gives a slight lift to the model's face, thus bringing a very healthy and hydrated finish to the overall look. 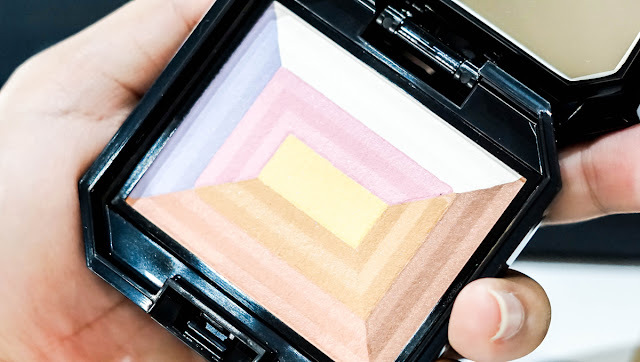 Another great product that goes well with the foundation is the 7 Lights Powder Illuminator; and this little compact is a special customization powder that is designed to intercept light to give a more radiant effect on the skin. What I really like about it is that it balances different skin conditions very well and upon a couple of swatches, I found that it also manages to smooth over my rough skin patches while absorbing excess sebum off certain targeted areas too. You can also opt to highlight and warm up the face with the different shades within or simply swirl your brush with all the shades within to neutralize any reddish areas with the resulted soft peach tone. Now seeing that the Shiseido Synchro Skin Glow Luminizing Fluid Foundation only retails at RM170, you are certainly getting quite an amount for your buck basing on the average that most foundations nowadays retail at RM200+ per bottle. The coverage here is also quite buildable and it is certainly one I would recommend for every day use if you are looking for something that is more on the natural side. However if you would like to know further about the product, you can head on over to Shiseido's Official Facebook Page for more details. Her face really looked glowing after using the foundation. Shiseiedo's quite a reputable brand and would recommend it to others. Never use this brand. maybe I should try one day! looks nice and i think its suitable for my complexion too. would love to try it! wow I like it here. I should check out the store soon.